Fourteen-year-old Reagan Strange may be one of the youngest contestants on “The Voice” this year, but that hasn’t stopped this vocal powerhouse from raising goosebumps across the arena with her breathtaking talent. The Memphis, Tennessee native has been watching the show since Season 1 when she was merely 6-years-old and has been dreaming of her debut on “The Voice” ever since. And let’s just say, she did NOT disappoint. 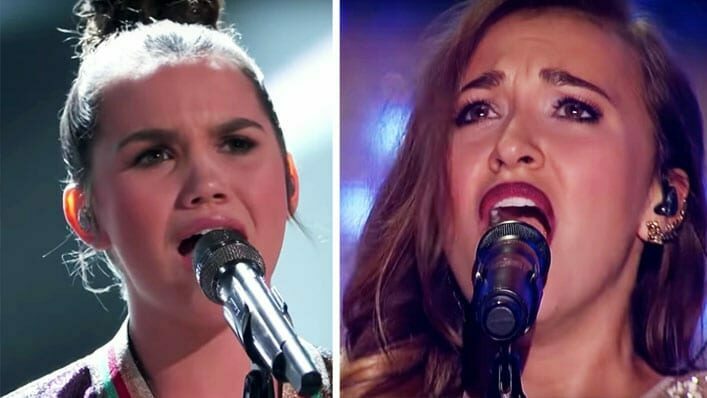 Of particular praiseworthy note was Reagan’s most recent appearance in the “Live Top 13 Performances” when the teen sang Lauren Daigle’s “You Say” for Team Adam. While it’s hard to parallel the Christian artist’s trademark sound, Reagan did a remarkable job of mirroring Daigle’s spirit in her own powerful rendition of the worship song. AND it just so happened to be at a time when Daigle was bringing the love of Jesus to her own secular stage with the SAME song on the “Dancing With the Stars” finale. Kudos to these young ladies for using their gifts to glorify God on national television! Check out Reagan’s amazing performance below! WATCH: Kelly Clarkson & Jennifer Hudson Sing Heavenly "O Holy Night" Duet on "The Voice"